The ingredients in this smoothie are delicious and packed with nutrients – one of the best ways possible to get your daily vegetables and fruits. Chop all ingredients coarsely and put in blender, leaving the avocado for last. Blend, adding either water or more coconut water to get to your preferred consistency. 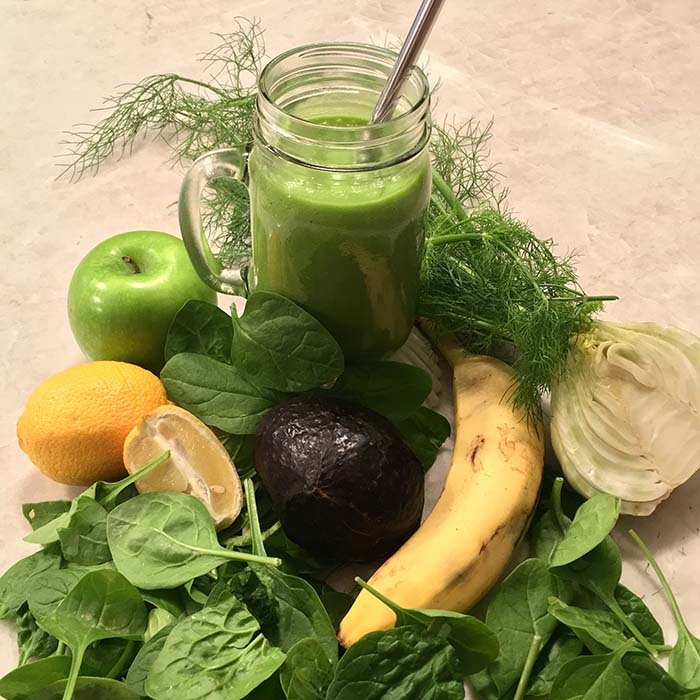 This smoothie offers many health benefits: good fats (avocado); digestive aids (ginger and fennel), inflammation prevention (turmeric and fennel); fiber (apple); plus an immune boost (lemon) - need I say more! Drink it as an addition to any meal, or as a pick-me-up in the afternoon.